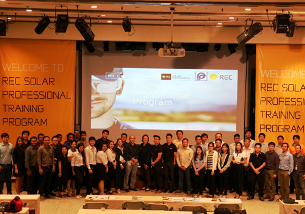 REC, a leading global provider of solar energy solutions with one of the largest vertically integrated and fully automated production facilities in Southeast Asia, is rolling out its successful REC Solar Professional Program for solar installers in Asia Pacific. 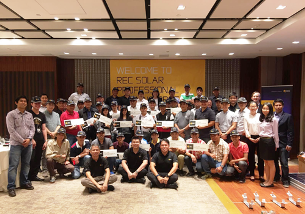 As a global company with business footprints in the Asia Pacific region, this year marks REC’s 20th year of business in the solar industry. We believe in a strong local presence that is supported by a network of expert local partners. The REC Solar Professional Program promotes a long-term alliance between both parties, which is important in the fast-paced and dynamic solar industry. 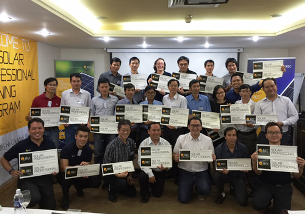 A stringent criteria is in place to ensure that only the best and most qualified local partners come onboard as new REC Solar Professionals. This unique differentiator sets them apart from other installers. End customers benefit from the REC Solar Professional Program as they will be assured of a consistently high standard provided by their installers who use REC’s high quality solar panels. In addition to training programs and exclusive seminars aimed at building their technical and industry knowledge, installers certified as REC Solar Professionals benefit from an extended product warranty (an additional two years on top of the REC’s standard 10-year product warranty), service fee for approved claims and access to sales and marketing tools that support their business success. Since 2012, we have witnessed an exponential growth trajectory in solar energy deployment for the Asia Pacific. At the end of 2015, solar energy installed capacity exceeded 115 GW, up from 19 GW in 2012 for the region as per Bloomberg New Energy Finance. The levelised cost of energy (LCOE) for PV has also fallen by about 56% since 2010 to present levels of $99/MWh. This is due to decreased costs of modules, efficiency gains in energy conversion and economies of scale driven by government policies, subsidies and increased private sector participation. Bringing clean energy to Sri Lanka, Vietnam, Thailand and the Philippines that face intermittency in electricity supply will expand solar energy further – realising its potential as a cost-effective source of distributed generation in the Asia Pacific. 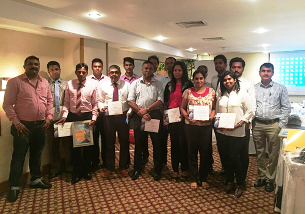 Thus, REC’s Solar Professional Program for its installers is a timely response to the demand for solar power. Celebrating its 20th anniversary in 2016, REC is a leading European brand of solar panels. Through integrated manufacturing from polysilicon to wafers, cells, panels and turnkey solar solutions, REC strives to help meet the world’s growing energy needs. Founded in 1996, REC is a Bluestar Elkem company with headquarters in Norway and operational headquarters in Singapore. REC concluded 2015 with 2,000 employees worldwide, 1.3 GW solar panel production capacity, and annual revenues of USD 755 million.